Sibiu is a medieval city located in the renowned Romanian region of Transylvania. The city’s historical center which holds most of the interest, lies on the east bank of Cibin river, and is divided into the pastel colored Lower town, and the more strict and upper class, you guessed it, Upper town. 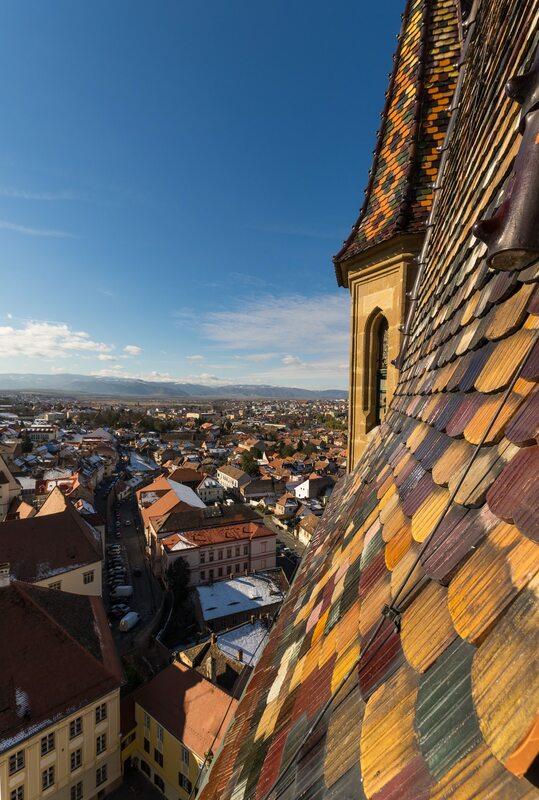 Hermannstadt—as Sibiu is called in German was built by Saxons in the middle of 12th century and had already become a wealthy trading center by the 14th. Its craftsmen were organized in 19 guilds which played a decisive role in the city’s prosperity and cultural flourishing. 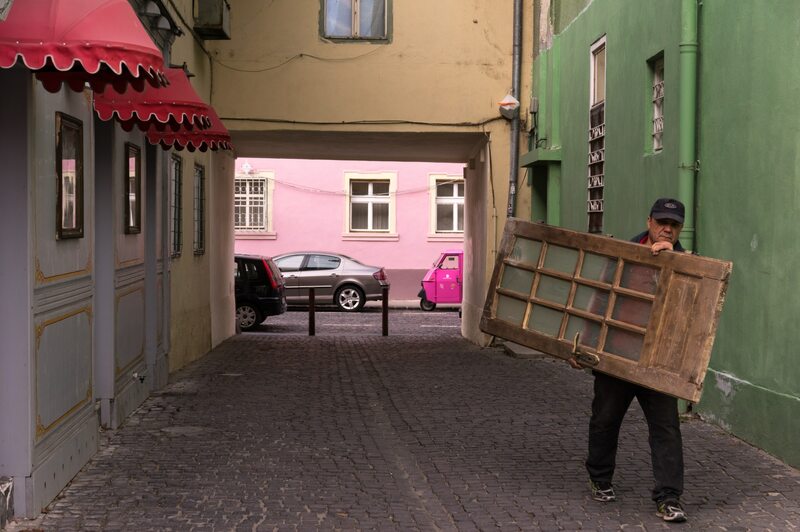 Something being expressed even today through the city’s philharmonic orchestra, three theaters and Sibiu’s international theatre festival among others. 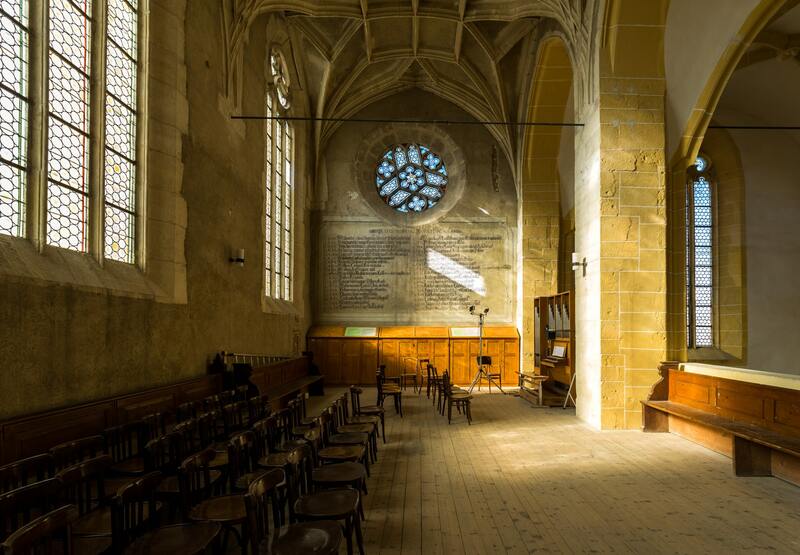 The historical center is a strong candidate to enter UNESCO’s world heritage sites, something that I believe will eventually happen. 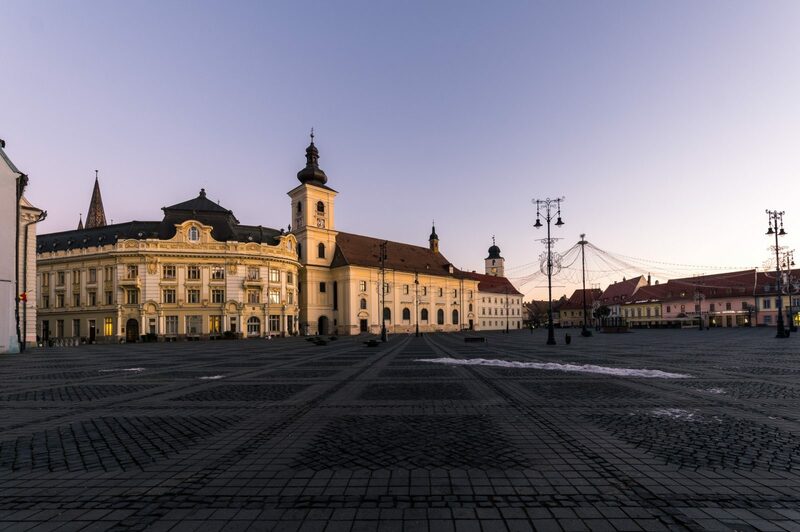 Sibiu’s historical character is untouched and that’s obvious from the moment you set foot in the old city. Modern interventions have been kept to a minimum and fortunately no sacrifices have been made in the name of touristic growth. An example for many cities around the world. My cab passed under the Bridge of Lies and kept on for a few more meters only to pull up where the ascending street met the square. I paid the man, took my staff and looked around for a bit to get my bearings. Across the square a row of colorful buildings gazed at me with their characteristic narrow roof-windows which look like the slit eyes of a monster peeking through its hideout. A distinctive element decorating many of the local rooftops. Little square was not that little after all. Eventually I started walking back towards the bridge. Before getting there I stopped at the corner in front of a peach and yellow building with eloquent decorations around the windows. Hotel Casa Luxembourg (review) would be my home for the next couple of days. My first impression of the upper town was nostalgic. The buildings around, obstruct any optical connection of the old city with the modern part of Sibiu, inducing this romantic mood you always get when you visit a medieval town, untouched enough to drag you into the illusion of a past era. 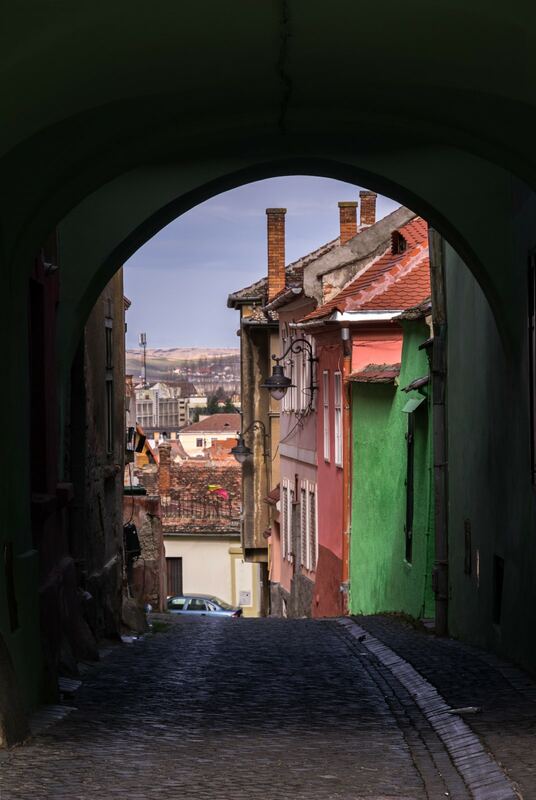 I felt the same walking around Sighisoara—an equally gorgeous city. The only thing breaking the strict order of the rooftops around the square was the bell tower of Holy Trinity and the Council Tower at the base of which two tunnels led to the north corner of Great square. The sun gave the sky a vivid golden tone as it was about to set, and the last light was fading on the rectangular square by the time I got there. It was epic in proportions and as a spectacle. The most photogenic side—the northwest, is occupied by the eloquent art-nouveau City Hall and the majestic Holy Trinity baroque styled church. Just across the town hall is Brukenthal Palace—house of the Governor of Transylvania and Romania’s first museum. Today Brukenthal National Museum includes several different museums like the Pharmacy Museum, the museum of Hunting and the museums of History, Romanian art and Contemporary art. 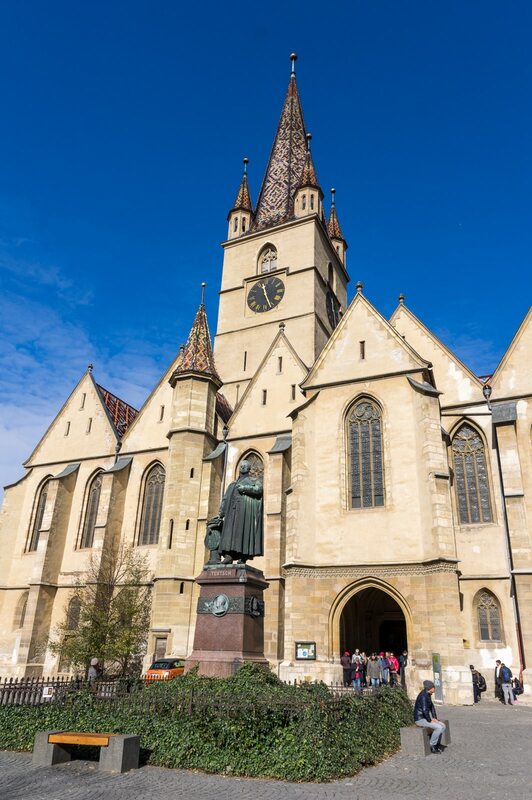 Behind the city hall, is the gothic Lutheran Cathedral—Sibiu’s most imposing building, with the highest tower in Transylvania. The unobstructed views to all directions make the stair climbing worthwhile and from the top one can see the whole town and the church’s rooftop which is covered with colorful tiles creating beautiful patterns. 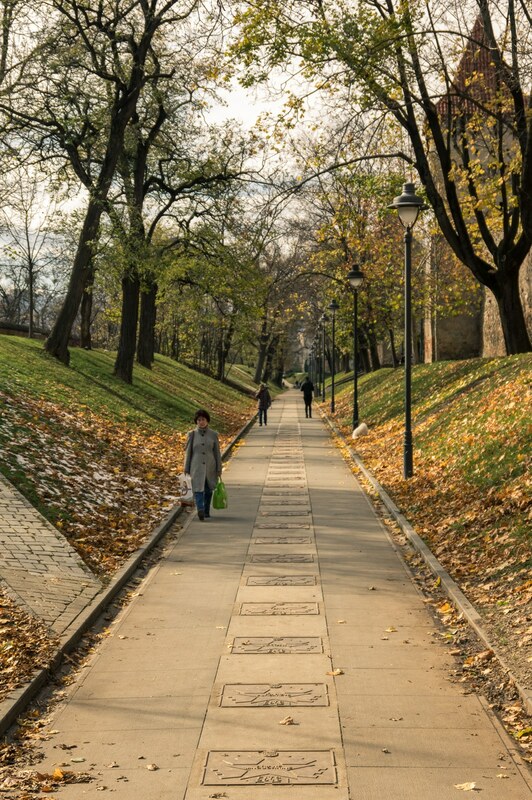 Like all historical cities, Sibiu is meant to be walked. The experience can never be full unless you stroll across the cute little shops and inside the shady narrow alleys with the differently colored walls and the high arched passages, which lead to hidden little corners, where more alleyways await to take you further into the city’s depths. Same goes for the Lower part of the city even though it has lots of cars. A thing I joyfully discovered during my wanderings, was that the city’s food scene is of a very high level, with some restaurants providing brilliant dishes that look and taste heavenly. Monsieur Joben right on the Great square being my favorite. As for coffee and alcohol, the numerous little cafes and bars around the two squares and along the side roads, can keep you from getting bored for more than a week. The prices everywhere, are friendly like in most places in Romania. When you are in a big city, you always take care not to get lost. It’s something always lurking in the back of your mind. In little places like this though, you want to get lost. You want your mind to go blank as the time passes by and you get deeper and deeper into this sweet exploring bliss. This is the pure essence of traveling, to forget yourself and clean your mind’s whiteboard in order for new things to be written on. 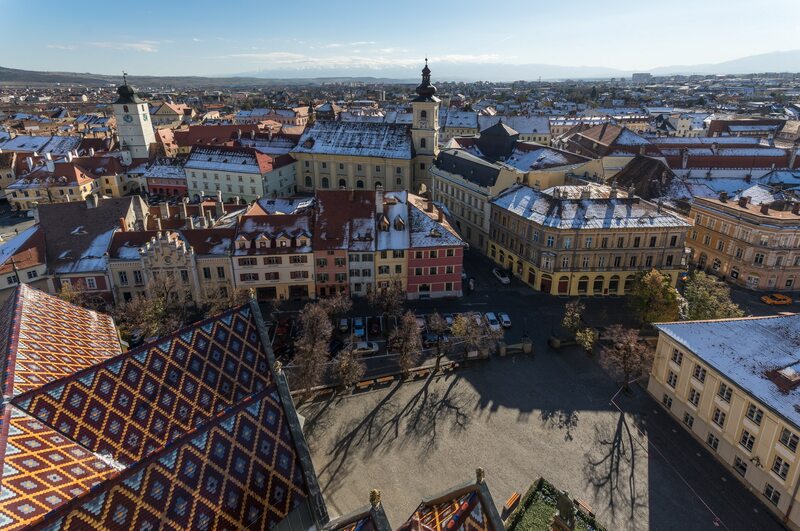 Talking about writing, Sibiu would be an ideal writing getaway. It’s small inspiring and relative quiet. I actually did write a bit in my hotel room. Watching the Little square and bridge of Lies outside my window had something novelistic to it. There are many legends of how the first iron forged bridge got its name, the most prevalent being that it will collapse if someone on top of it say a lie. 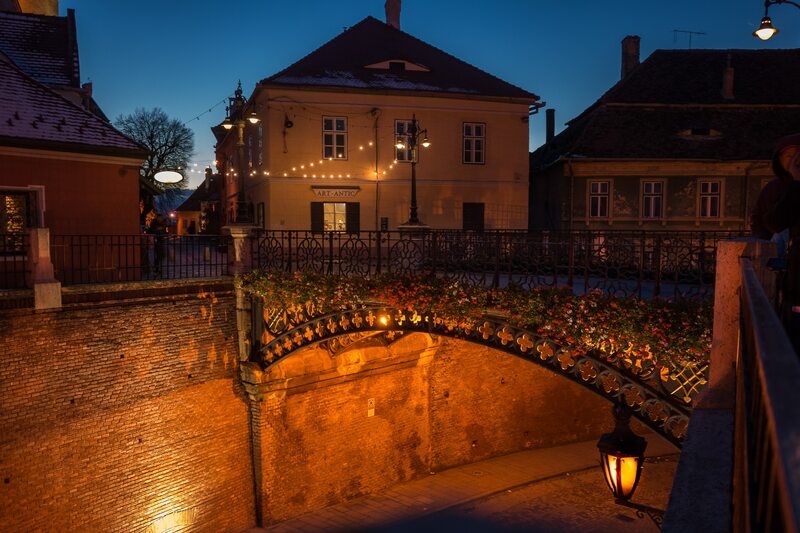 Besides the various events and festivals that take place around the city, the most special time to visit is during Christmas when Sibiu puts its party clothes on, and millions of lights create a very warm atmosphere raising the city’s coziness to new levels. This is exactly why Sibiu is very special and differs from other cities. It manages to create a bond with travelers. It’s not faceless, it is welcoming and approachable. It has got a soul that it’s easy to distinguish and experience and for this, it will always be one of my favorite destinations in Romania. The architecture is nice. Then, the pics of the food is top. It would be a nice place to walk after eating a meal with the collection of buildings nearby. Great article! Always wanted to visit Transylvania, have only been to Bucharest and your post gave me some more inspiration, thanks for sharing! Wow! 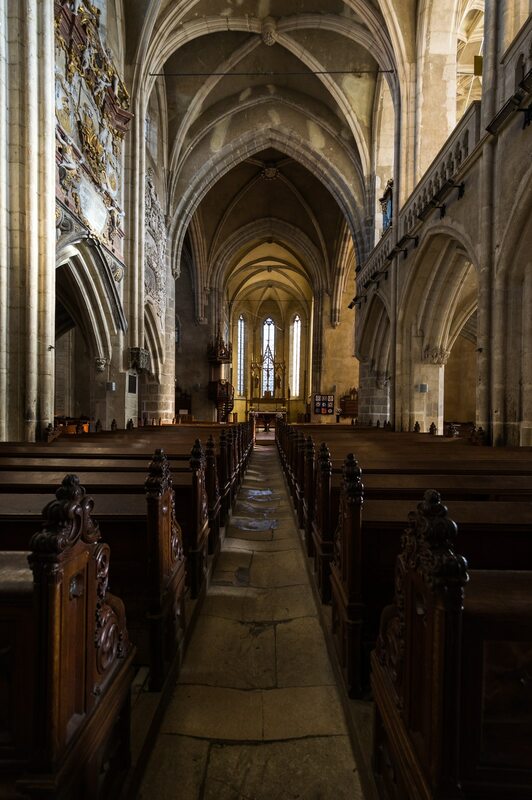 The place looks so beautiful and medieval. The architecture is so impressive. I loved the fact that it is a writing getaway. I would love to visit there for this little fact.